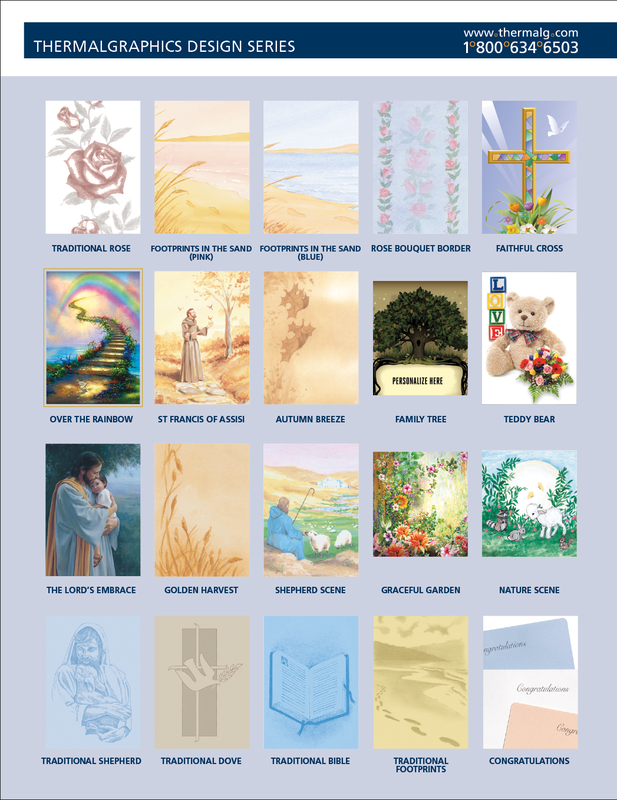 The Thermalgraphics Memorial Product Line consists of beautifully printed, laminate-ready bookmarks and albums. 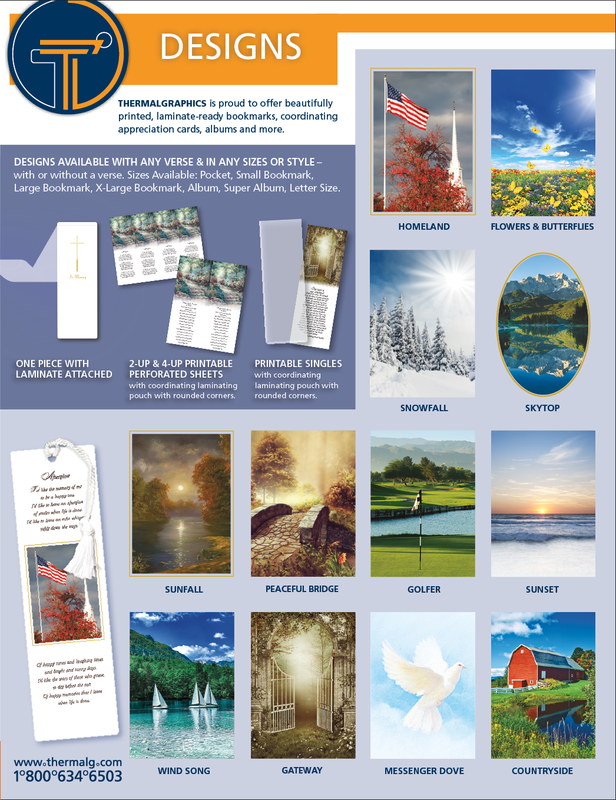 Our attached, heavy weight (7 mil) clear laminate pouches, specifically sized for each item, are included in your order. 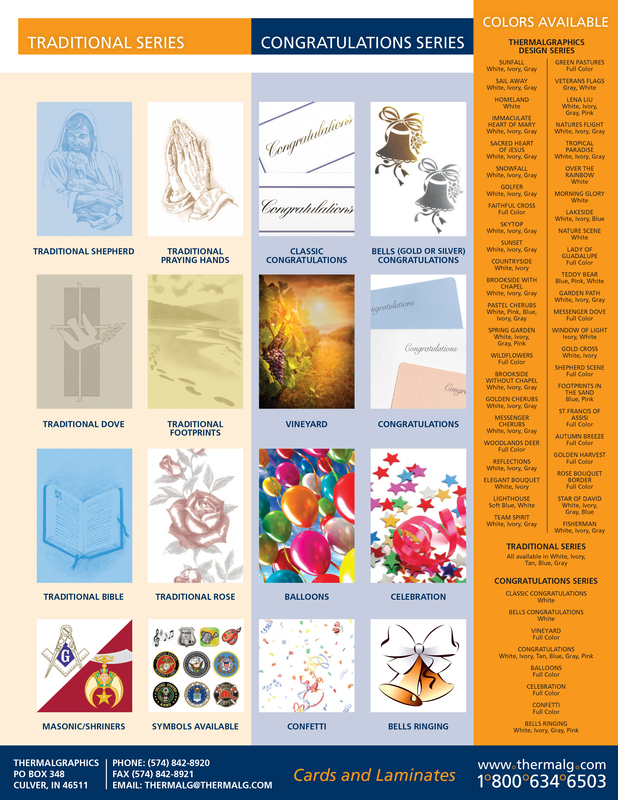 Memorial designs are also available in coordinating appreciation cards with envelopes. 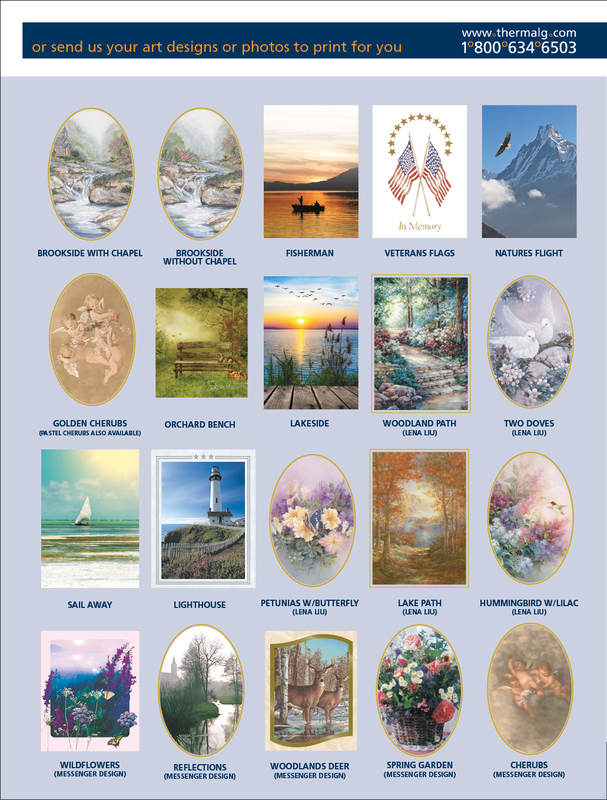 We offer each quality product with a custom selection process that allows you to create the perfect memorial. 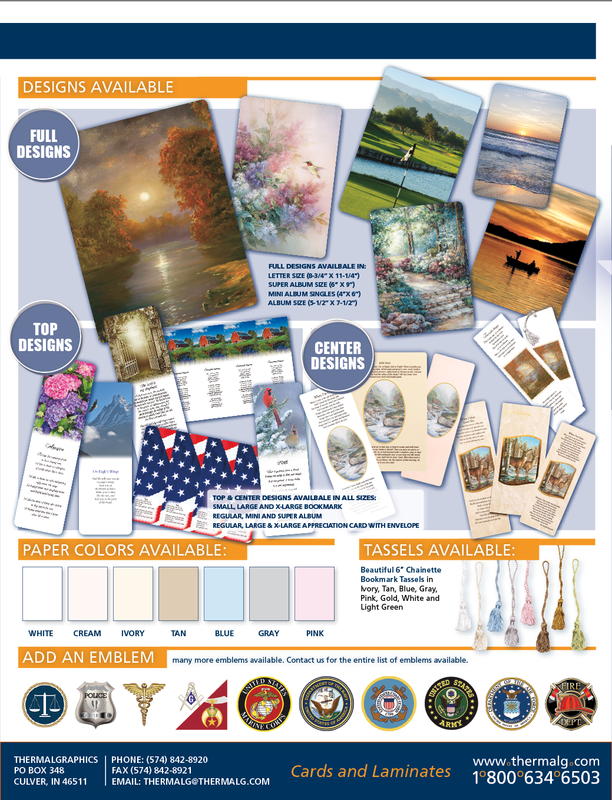 You can custom-tailor our products by “picking and choosing” from a variety of options: design, size, paper color, and verse. Add "In Memory" or a tassel hole punch at no additional charge. Coordinating tassels are available in white, ivory, tan, gray, gold, pink and blue. 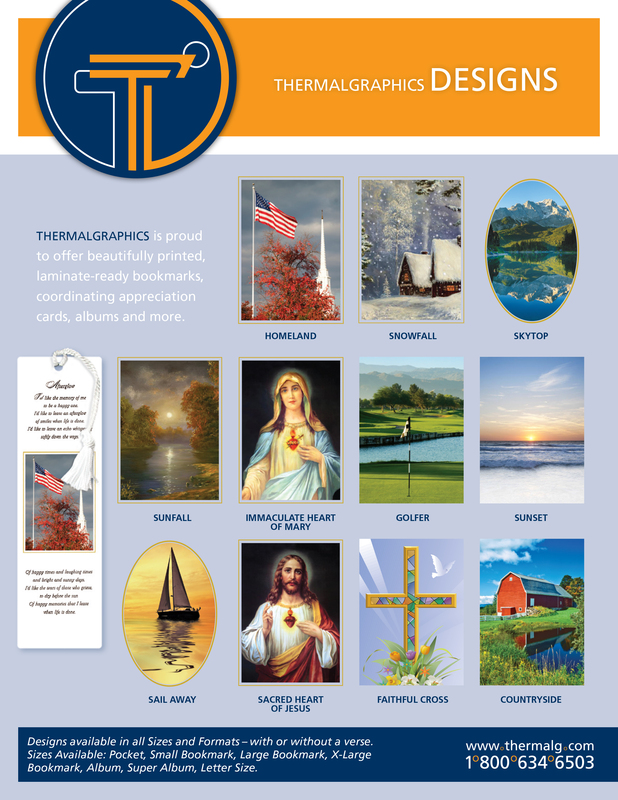 Thermalgraphics can further customize most products with an imprint of your company’s logo or insignia, phone number, address, web site address or tagline. 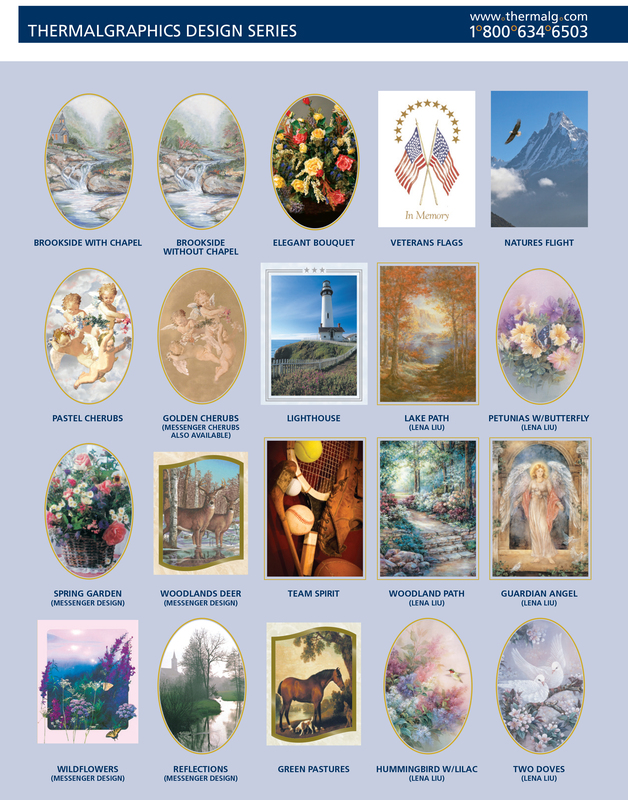 Please call (800) 634-6503 for more information on customization. 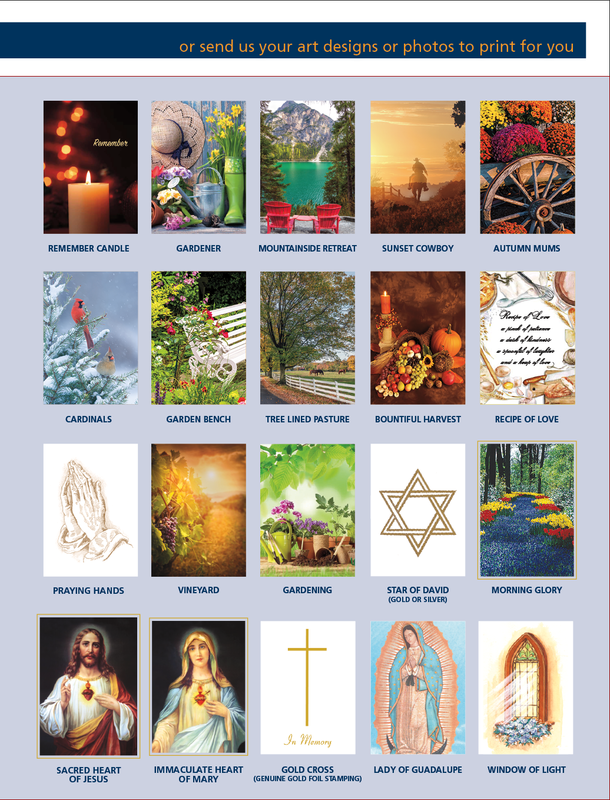 These 8-1/2" x 11" micro-perforated sheets feed easily into any laser or ink jet printer for quick imprinting with professional results. 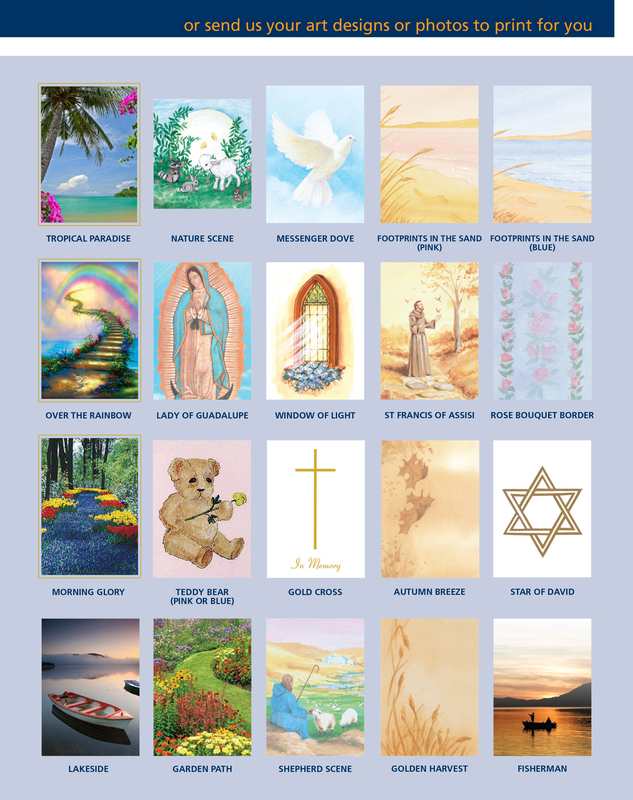 The 4-up perforated bookmark sheet separates into four 2-3/4" x 8-1/2" bookmarks. 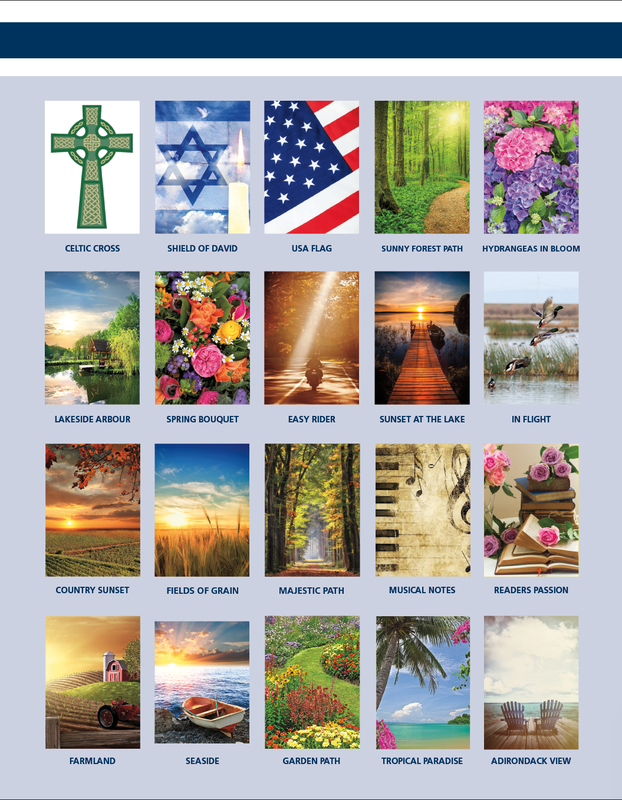 The 2-up perforated XL bookmark sheet separates into two extra-large 4-1/4" x 11" bookmarks. 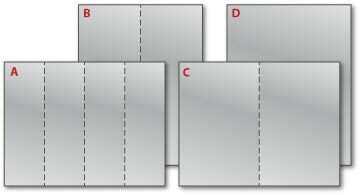 The 2-up perforated album sheet separates into two 5-1/2" x 8-1/2" albums. Each size fits perfectly into coordinating clear laminating pouches.